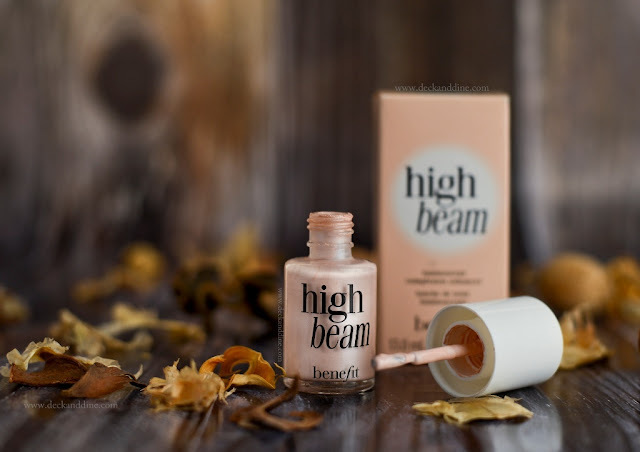 Today I’ll be reviewing one of Benefit Cosmetic’s cult favorite products- High Beam Liquid Face Highlighter. I love how a good highlighter can give you a radiant glow. Our liquid highlighter accents cheek & brow bones for a dewy glow. Use as a spot highlighter over makeup or wear under complexion products for subtle luminescence. Radiant look Long-lasting Day or night gorgeous. So adorable. It comes in a little nail polish like bottle. It has a brush applicator, just the way nail polish bottles have. You can apply dots with the brush and then blend it with fingers, sponge or a clean brush. I purchased it from Sephora for INR 2100. Available at all Sephora outlets across the country. There are hundreds of sellers on Facebook and Instagram who can arrange one for you. But beware of fake products. It is a satiny champagne pink highlighter with finely milled shimmers. I am NW25 and it works well on me; whereas my cousin, who is NC42, this suits her beautifully too. The shimmers are so fine; they disappear into the skin without making you look like a disco ball. But you will definitely have to keep the quantity in mind. The texture is beautiful, non-oily. Love the soft, natural afterglow this pink shimmering lotion adds. You don't need a whole lot of this. I would recommend starting off small and adding if you need some more. The glow stays for hours; almost for the entire day. I generally use it as a spot highlighter over makeup. After foundation, using the brush I dot it on my high points and then blend with fingers. Sometimes I wear it underneath makeup for subtle luminescence as well. Shimmers don’t make you look like a disco ball. Small amount is needed, so one bottle will last really long. The glow remains for hours and hours. Works well on a varied skin tone. Benefit Cosmetics has some really nice products. 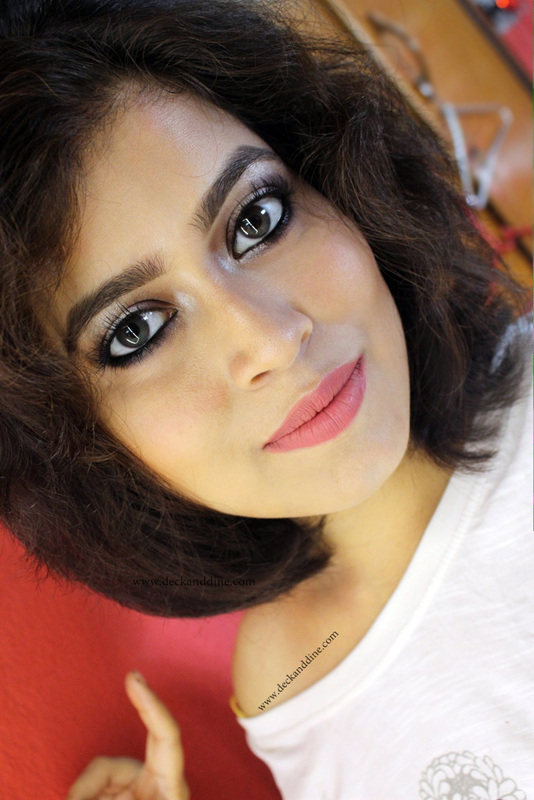 I have used their BeneTint and They’re real mascara (read the review HERE) before. This makes you glow from within. Definitely a great highlighter. Haha :D sab highlighter ke kamal..
Madhubani I have been wanting this for ages. Love the subtle glow that it gives to the face.Definitely going to get it.